Home / FAQ / FAQ: Where can I find Rishtey? FAQ: Where can I find Rishtey? 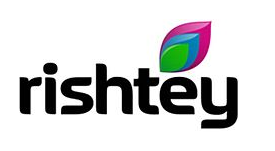 Rishtey, operated by Viacom18 is available on cable and satellite platforms in the UK and Europe. Freeview and YouView no longer available. As of mid-August 2017, Rishtey's free-to-air transmissions have ended. Online, the channel can be streamed as part of the TVPlayer Plus service. See tvplayer.com for more information.